The complete, definitive and never-before-published catalogue of Hipgnosis, Vinyl * Album * Cover * Art finally does justice to the work of the most important design collective in music history, which, according to Roddy Bogawa, director of the documentary Taken by Storm (2011), `designed half your record collection'. Founded in 1967 by Storm Thorgerson, Aubrey `Po' Powell and Peter Christopherson, Hipgnosis gained legendary status in graphic design, transforming the look of album art forever and winning five Grammy nominations for package design. 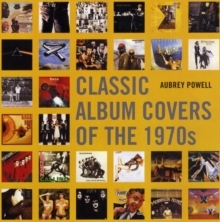 Their revolutionary cover art moved away from the conventional group shots favoured by record companies of the day, resulting in the ground-breaking, often surreal designs which define the albums of many of the biggest names in the history of popular music: 10cc, AC/DC, Black Sabbath, Peter Gabriel, The Police, Genesis, Led Zeppelin, Pink Floyd, Paul McCartney, Robert Plant, Syd Barrett, Throbbing Gristle, T.
Rex, Wings, Yes and XTC, to name but a few. Arranged chronologically, Vinyl * Album * Cover * Art features stunning reproductions of every single Hipgnosis cover - 372 in total - coupled with detailed information by Po and Storm Thorgerson on the artworks and the compelling stories behind their creation. 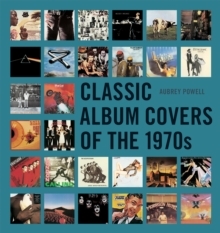 Additional contributions by Peter Gabriel, Marcus Bradbury, and Pentagram's Harry Pearce provide engrossing insights into the way these incredible artworks came into being; place the covers in context; and reflect on their enduring impact on album design. 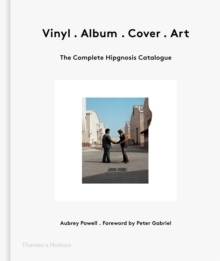 A highly accessible stand-alone volume, Vinyl * Album * Cover * Art will also make the perfect pop partner to the groundbreaking Hipgnosis | Portraits (2014) with its rare revelations and behind-the-scenes photography.